You are currently browsing the archive for the Maria Shahgedanova category. 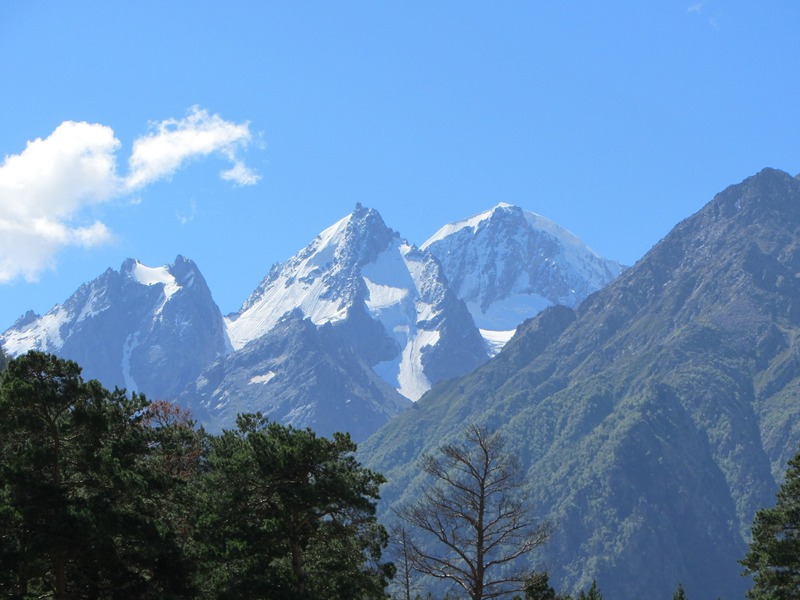 An international team of scientists is calling for urgent and rigorous monitoring of temperature patterns in mountain regions after finding evidence that high elevations could be warming faster than previously thought. The research team says that without substantially better information, we risk underestimating the severity of a number of already looming problems, including water shortages and the possible extinction of some alpine flora and fauna. The research is published today in the journal Nature Climate Change. Co-author Dr Maria Shahgedanova, University of Reading, said: “The evidence that mountains are warming faster than low elevations is growing but we still lack detailed information from both observations and models and, as a result, cannot reliably assess impact of the high-elevation warming. These can potentially affect not only high-altitude ecosystems but also water supply from snow and glacier ice and hazards associated with shrinking cryosphere which will impact population at lower elevations. The most striking evidence that mountain regions are warming more rapidly than surrounding regions comes from the Tibetan plateau. Here temperatures have risen steadily over the past 50 years and the rate of change is speeding up. But masked by this general climate warming are pronounced differences at different elevations. 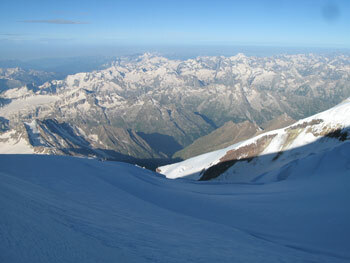 For example, over the past 20 years temperatures above 4,000 m have warmed nearly 75 per cent faster than temperatures in areas below 2,000 m.
The team of scientists came together as part of the Mountain Research Initiative, a mountain global change research effort funded by the Swiss National Foundation. The team includes scientists from the UK, US, Switzerland, Canada, Ecuador, Pakistan, China, Italy, Austria and Kazakhstan. Between them, they have studied data on mountain temperatures worldwide collected over the past 60-70 years. Improved observations, satellite-based remote sensing and climate model simulations are all needed to gain a true picture of warming in mountain regions, the researchers say. Much of that requires international agreement and collaboration – and funding. – The complex combination of any or all of the above factors in different regions and at different times of the year. Records of weather patterns at high altitudes are ‘extremely sparse’, the researchers found. The density of weather stations above 4,500 m is roughly one-tenth that in areas below that elevation. Long-term data, crucial for detecting patterns, doesn’t yet exist above 5,000 m anywhere in the world. The longest observations above this elevation are 10 years on the summit of Kilimanjaro. Read more about Dr Shahgedanova at her staff profile. Maria Shahgedanova presented a summary of her research at yesterday’s research seminar. Maria grew up in Moscow, Russia and studied meteorology at Moscow State University before completing a DPhil in climate science at the University of Oxford. Among her research interests are the response of glaciers to climate change. The melting of glaciers will contribute to sea level rise and can impact on water resources for human populations especially in arid regions. Maria’s research has focused on several locations in south-eastern Europe and northern and central Asia including extremely remote areas such as Polar Urals and Kodar Mountains where research is extremely limited. Using various techniques – analysis of aerial photographs and satellite imagery, ground surveys using Digital Global Positioning Systems (DGPS) and GIS, climate and glaciological modelling – Maria and her colleagues increase the accuracy of our knowledge of glacier retreat showing that in northern Asia, glaciers lost between 20 and 40% of their area since the middle of the 20th Century. Although glaciers are shrinking fast even in the coldest regions of Siberia, using satellite imagery the team discovered four glaciers in the remote Kodar Mountains in eastern Siberia which were not on the geographical maps before. Maria’s current research project, DIOGENES – Dust Impacts on Glaciated Environments, looks at the effect of dust on glacier melt and geochemistry of glaciated environments. Dust reduces the albedo (reflectance) of glaciers and can increase melt rates. It also provides additional nutrients for the aquatic systems nourished by high-altitude glaciers and snow pack.